Indulge in the warmth and beauty of solid wood. Easy to install and ideal for any sized bath space. Coverage for all mirrors lasts from 3 years from the original date of purchase. For more information please call 1-855-995-5578. Simple wood frame mirror, finished with rich walnut finish, sealed with 7 layers of protective sealant to ensure water proof surface. The mirror a high quality 0.6" thick mirror prevent rusting against bathroom, and it comes with all mounting hardware. Wood * walnut * NA * Mounting hardware included * Faucet and mirror not included Faucet and mirror not included. Professional installation recommended. 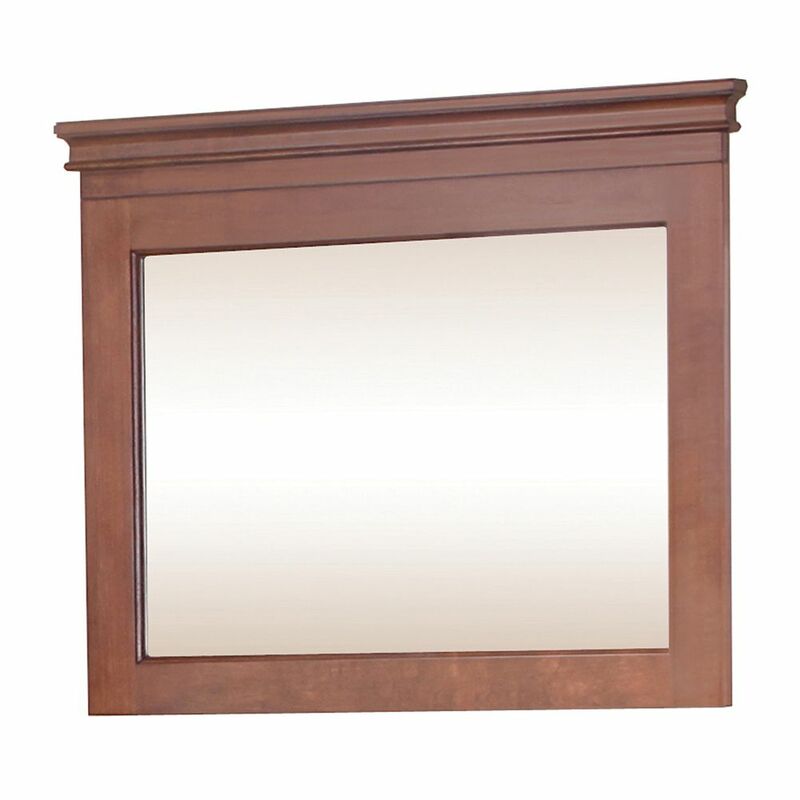 28 Inch Ashwell Mirror Vanity Indulge in the warmth and beauty of solid wood. Easy to install and ideal for any sized bath space.